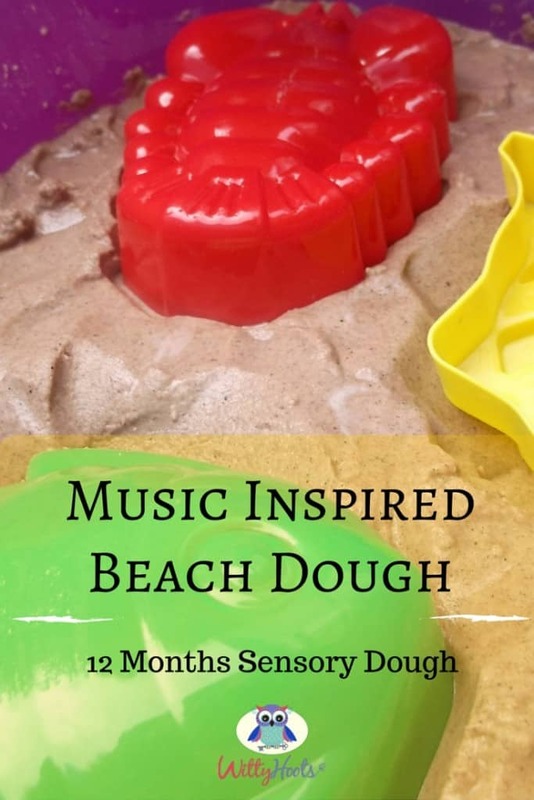 Welcome to our post all about exploring music inspired sensory sand dough for lots of beach fun! 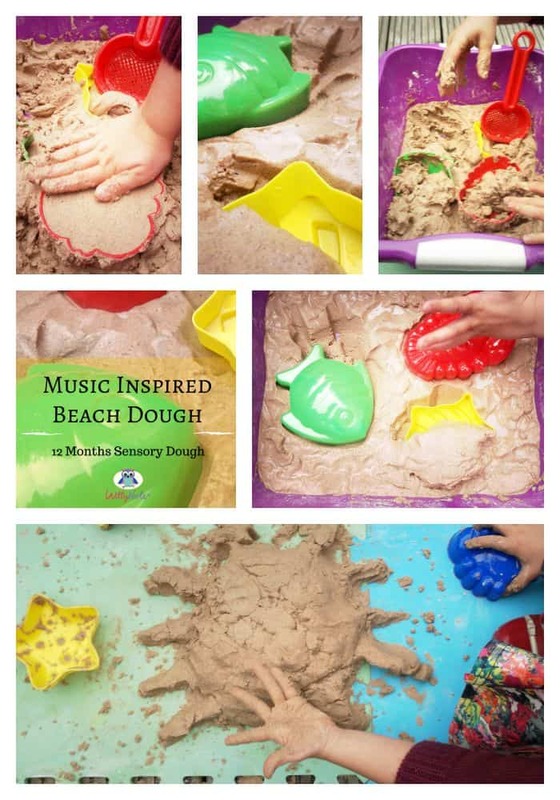 We are enjoying combining sensory play doughs with music and you can read more about why we are using different types of music on the link below. or with children who like to taste/eat dough! Mix the play sand with the cornstarch and then add the water. Mix together until the sand becomes mould-able and can hold a shape as well as being crumbly like beach sand too. We placed the dough into a large container and added miniature things that you would normally take to the beach such as moulds, buckets and spades. The music we used not only reminded us of summer days but also sounded like we were either at the beach or in the sea at times. Our daughter sat outside in the sunshine whilst she played and she said it was just like being on holiday! She happily played with the sand dough, building castles and knocking them back down! She attempted to create some simple sand sculptures with the sand dough and was able to tell me what she was doing too. She commented on how happy she was and that she loved playing with the sand and listening to the music too. You can visit our YouTube channel and listen to the pieces we chose for this sensory dough activity.